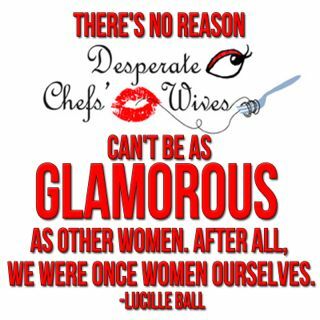 Desperate Chefs' Wives: What's My Value? Without giving away too many details that really aren't mine to giveaway, Erik was given an opportunity- a fabulous opportunity to be the chef at a new restaurant. The reason I'm not jumping for joy? It would mean moving to Chicago. It's not the moving that concerns me, it's not the thought of having to find a new babysitter, it's not even the thought of having to search and land a new job. 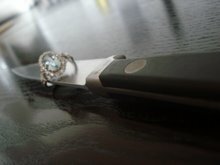 The single greatest reason that I didn't say yes right away is my career. 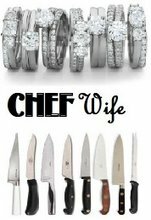 Yes ladies and gentlemen, the wives of chefs DO have careers. No, I don't mean hosting gala dinners or starring on a real housewives show. I mean a career. I am lucky enough to work at an amazing inner city school that is RUN BY TEACHERS. I am one of those teachers. And although I am part of a large group of teachers/administrators, and I work during the summer, late nights and even some Saturdays, I still get paid $47, 723. I feel your pain on this one. Stand your ground, because OUR careers are just as important as THEIRS. My Chef and I have had a very similar discussion. When we moved from Canada, he was originally looking at France, Switzerland and Italy. I am a Corporate Comms professional who only speaks English. After a lot of talking, he FINALLY made the decision to look in the UK. It's all worked out in the end, but yeah it took a lot of negotiating with him.